We provide the very best dog home boarding near you in the Renfrewshire, Inverclyde and North Ayrshire areas. Dogs deserve a holiday too! Hello! My name is Faye and I’m delighted to bring you your local 5* Barking Mad dog home boarding service. It’s an absolute pleasure to provide a tailored and excellent dog care service in the Renfrewshire, Inverclyde and North Ayrshire areas. Nowadays dogs are part of your family and the bespoke service we provide makes the dogs feel just as loved as they are at home. Our dog loving hosts are devoted to looking after their hairy guests and every dog goes home happy. Its also about giving you peace of mind so that when you’re away you can enjoy your holiday knowing that your dogs are enjoying theirs too. Your local Barking Mad dog care service provides the personal touch to home boarding. We are open to all kinds of dogs and always come and meet your dog before their holiday. 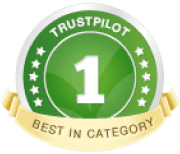 You can see the photos in my Local News and genuine Trustpilot below. So if you’d like your dog to have a lovely holiday or would like to become one of our wonderful hosts then please get in touch. The service is available for dog collections and deliveries from 9am to 6pm, 7 days a week. I have been running Barking Mad for 5 years and I’ve now taken the hard decision to put the business up for sale. I have seriously loved every minute of it and everything will continue as normal during the sale process and with the new owner. It’s an extremely satisfying and rewarding job and there is nothing better than being your own boss. Running my own business has also given me the flexibility to work from home and spend time with my two lovely Collies, Jazz and Cree. I have regular customers that book time after time as they love the service I provide. I also have new customer enquiries every day to get their dogs registered and booked in with Barking Mad. I have built up a fantastic relationship with all my lovely host families. They look forward to me coming with their doggy guests. I also love to get together with the host families throughout the year and enjoy lunch and a chat.